If you are looking for a group dinner that combines typical gastronomy, local culture (flamenco dancing, etc), local habits, etc... all this organized with high standards of quality, look no further. 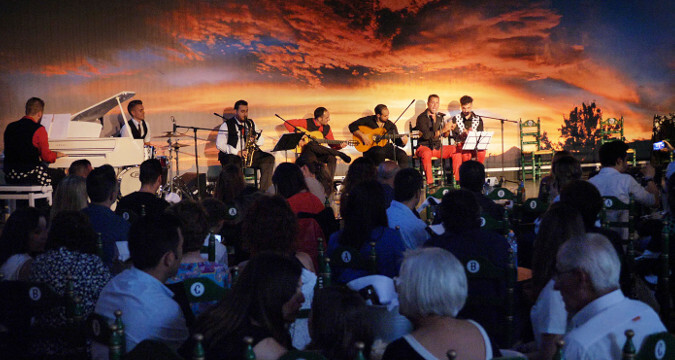 We propose a Spanish night in a local venue offering the REAL and typical andalucian feeling. 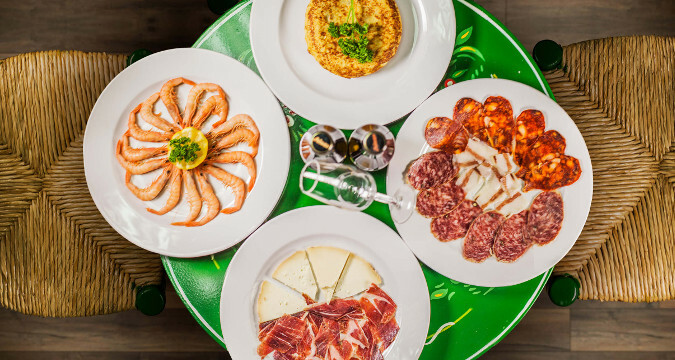 The whole idea of concept is to make your group feel the REAL Andalucia by making you experience a combination of the strongest pillars of the Spanish culture : flamenco music and dancing, special wines and quality local tapas. But this is much more than the simple addition of these three elements, it all about the art of combining these ! The venue is conveniently located in Estepona, in the heart of the Costa del Sol, offering room for private functions of all types. Buses can easily access all the way through. Drinks : welcome drink, beer, water, soft drinks and a very special wine from Sanlucar de Barrameda in Cadiz, the authentic "Manzanilla", ideal to combine the most typical and exquisite Andalusian flavors. Quality flamenco entertainment, very interactive and "friendly", that will make you feel like "at home"
Contact us with your expectations and we'll send you a detailled proposal. 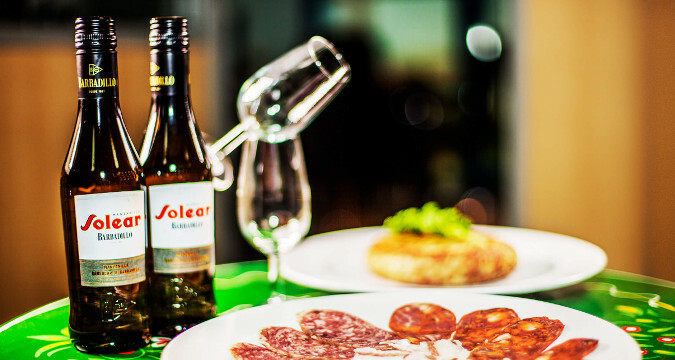 The "Real Flamenco Evening" concept is ideal for any type of group looking for a special evening (cocktail or dinner) completely themed around Andalucia, it"s culture and its gastronomy. The itinerary of the event can be taylor-made to your needs (duration, food, shows, etc), but is generally made of a succession of tasting sessions, each one including a specific theme (wine types, music styles, food category, etc). Similar events are available in very special venues, like a bull ring, a beautiful winery in Ronda, etc. More information on request. All year round, subject to availability.